Oats Creek Hollow is located in southeastern Jackson County, Arkansas near the community of Bradford and consists of two (2) tracts, which total 450 (+/-) contiguous acres. Tract 1 totals 230 (+/-) acres and Tract 2 totals 220 (+/-) acres. This prop- erty is offered for sale as a whole or as individual tracts. Tract 1 consists of 230 (+/-) acres and 72 percent of the property is in native hard- woods with the remaining acreage in pasture and open lands. 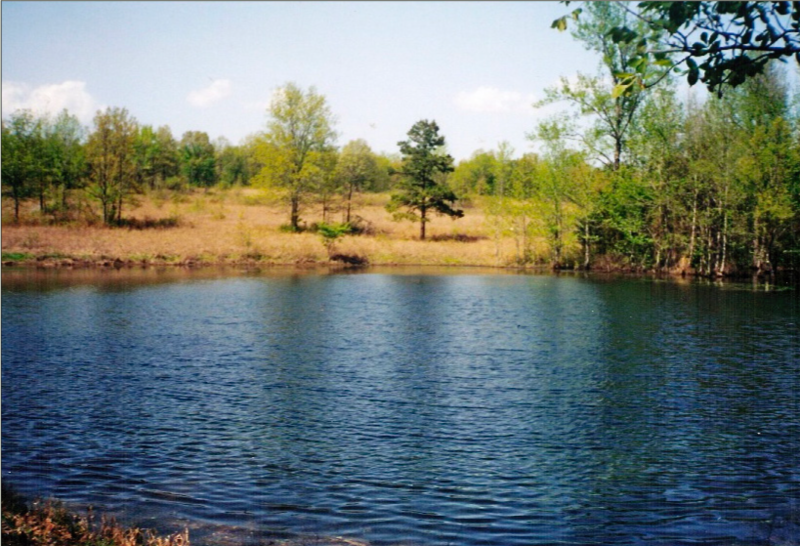 There is a 5 (+/-) acre spring fed pond providing a water source to livestock. Access to the property is excellent via Arkansas Highway 87 and Jackson County Road 5. There is one (1) mile of county road frontage and the land is partially fenced with gated access. The property provides opportunities for cattle grazing and offers excellent recreational hunting for deer and turkey. The property is bordered by large tracts of timber, which should supply additional wildlife resources to the property. The land is fenced and has gated access. Thirty percent (30%) of the mineral rights owned by the Seller shall convey to the Buyer. The mineral rights are leased on a five (5) year term to BHP Petroleum and the second year of the lease ended in April 2013. Tract 1 is offered for sale at an asking price of $368,000.00. Tract 2 consists of 220 (+/-) acres and 100 percent of the property is in native hardwoods and rises in elevation above a magnificent hollow. Oats Creek runs through the center of the property. The property is bordered by large tracts of timber, which should supply additional wildlife resources to the property. Thirty percent (30%) of the mineral rights owned by the Seller shall convey to the Buyer. A right-of-way easement exists, 25 feet in width, providing free ingress and egress to and from at any and all times to Tract 2. Tract 2 is offered for sale at an asking price of $352,000.00. The property as a whole lends itself well for a single owner offering excellent outdoor recreation opportunities for deer and turkey hunting and general outdoor activities. Any questions concerning this offering or to schedule a property tour should be directed to Nathan Gregory (mobile: 870-731-4344) of Lile Real Estate, Inc.